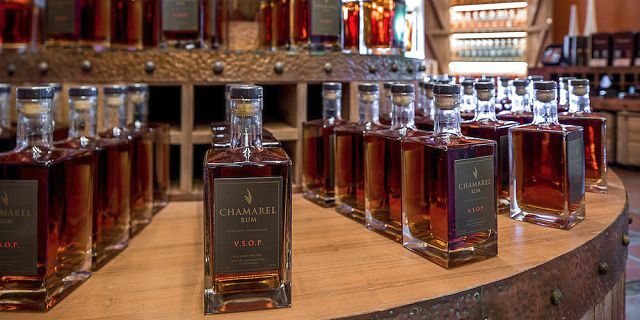 Enjoy a Visit , tour and Rum tasting at the Rhumerie de Chamarel. Situated in the South West part of Mauritius, in the heart of a fertile valley lies the Rhumerie de Chamarel which is surrounded by vast sugarcane plantations growing in harmony with the pineapples and other tropical fruits nearby. 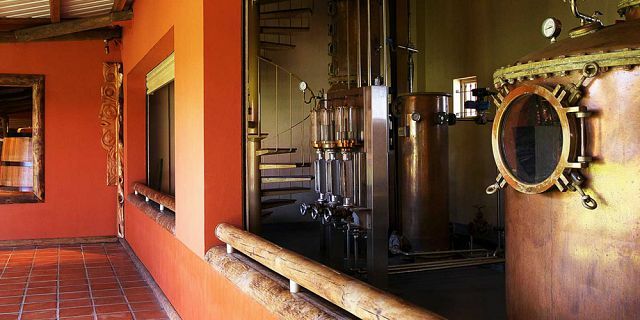 Displaying a unique sense of warmth and authenticity, the Rhumerie de Chamarel Distillery welcomes visitors for an all-encompassing tourism experience ranging from a guided visit of the distillery and rum tasting to a tasty meal at L’Alchimiste, its own stylish and creative “A la Carte” restaurant. 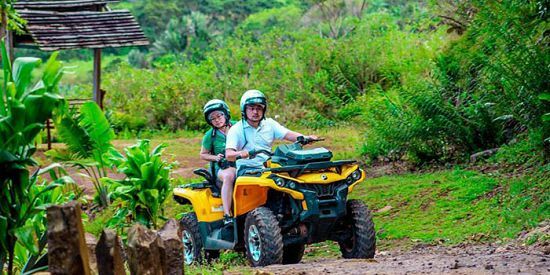 Rhumerie de Chamarel was designed to provide a holistic tourism experience to guests. 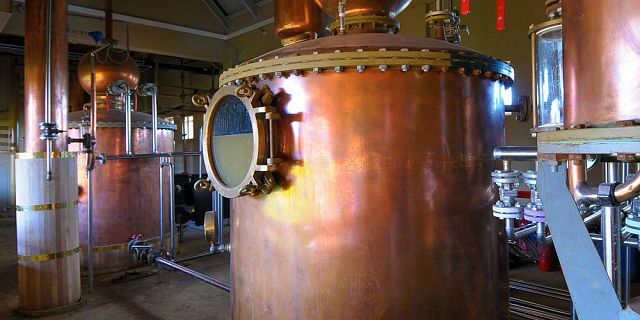 As a visitor of the Rum Distillery you can marvel at its unique design which blends harmoniously with the spectacular surroundings where wood, natural stone and water provide a sense of communion with nature. 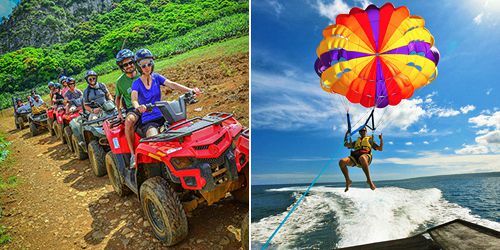 Mauritius Attractions offers you to enjoy a visit of the Rhumerie de Chamarel and having a guided tour with one of the experienced guides who will take you behind the scenes to provide a detailed explanation of the rum making process while you visit the distillery. 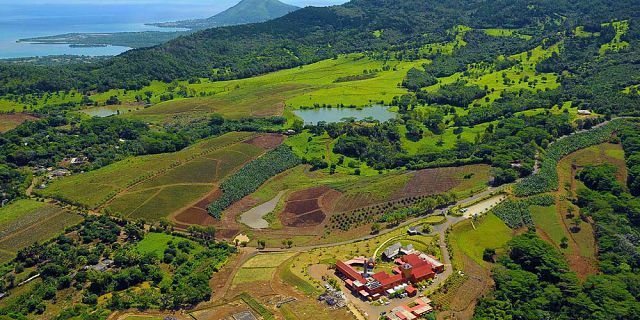 As part of the tour of the Rum Distillery, you will discover the exclusive Rum making process where all the sugar cane plants are carefully selected and grown at the domain. 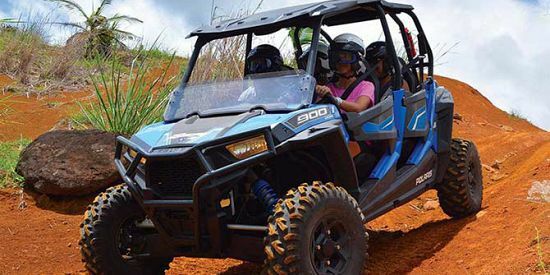 At maturity, the sugarcane plants are carefully handpicked and rapidly transported for further selection in order to obtain the purest juice extracts. 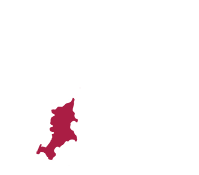 Their unique fermentation techniques ensure the finest aromas and enhance their specific flavors. 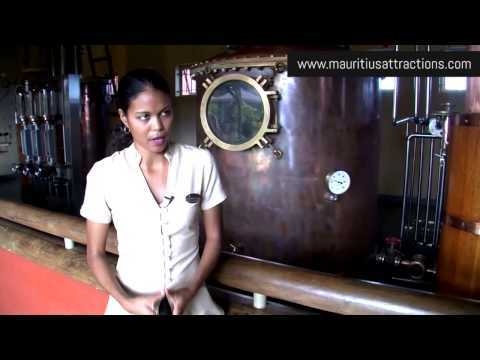 For your maximum convenience the Rhumerie de Chamarel distillery tour is done in either English or French at the duration of the tour is of about 30 to 40 minutes. One of the highlights of the distillery’s guided tour is definitely the Rum tasting. 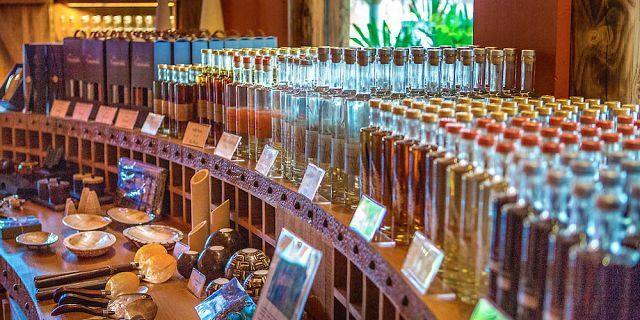 At the end of the tour, unique rum tastings is offered where one can try the selection of the agricultural Rums produced by the distillery. As opposed to the traditional rum produced by the distillation of molasses, the agricultural rum is obtained by distilling pure cane juice, a process which gives it its specifics aromas and flavors. 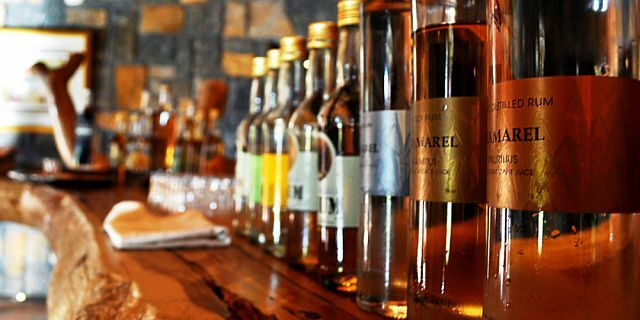 As part of the rum tasting you will be invited to sample selection of rums such as the: White Rum, Coeur de Chauffe, Chamarel Liquors, Exotic- Flavoured Rums and the Old Rum. 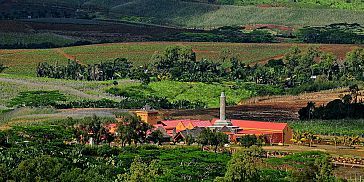 The highlight of the whole process for the rum making at Rhumerie de Chamarel is to ensure a High Quality “Eco-Friendly” agricultural Rum. 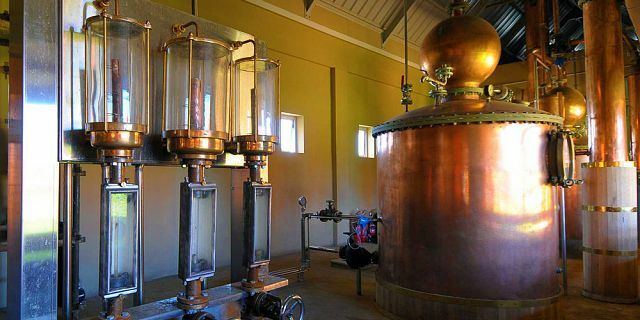 From the growing, harvest, fermentation and sophisticated distilling process, all is done so that the distillery can pride itself on the quality of its rum, achieved by distilling the fresh, fermented cane juice rather than that obtained from molasses. 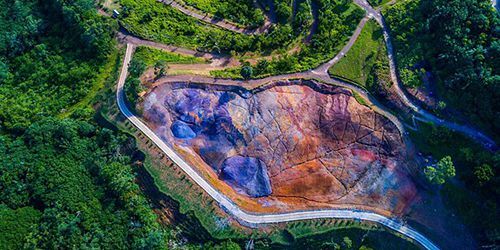 Aligned with the concept of sustainable development, the distillery puts emphasis on its environmental efforts on recycling – ‘nothing goes to waste’ approach. Indeed, the bagasse, the fibrous residue remaining after juice extraction is collected and turned into energy, the industrial fumes are cleared before being released into the air, the ashes are spread in the fields to act as fertilizers and the steam retrieved from the process is used to water the gardens. The Sugar Cane Spirit Shop - an opportunity to buy authentic and elegant products such as local Rum produced at the distillery, as well as typical Mauritian Crafts, jewels and exclusive line of clothes created by the Rhumerie. 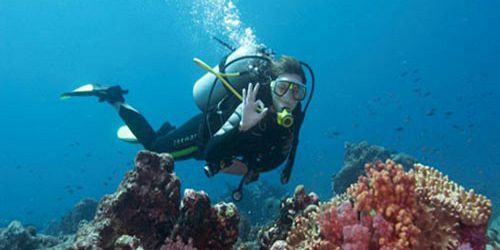 Restaurant L’Alchimiste - a unique cuisine, prepared with local products sourced from the estate itself. 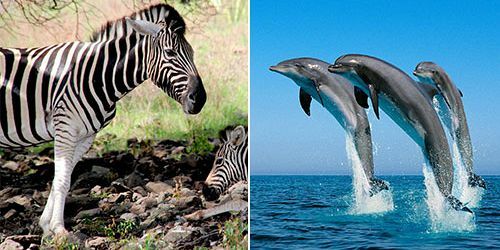 Surrounded by a tropical luxuriant flora, overlooking the plantations and mountains, here you can relish the perfect subtle cuisine with exotic delicacies such as palm heart or dishes featuring deer and wild pig, enhanced with fine wines imported from France and the main continents. 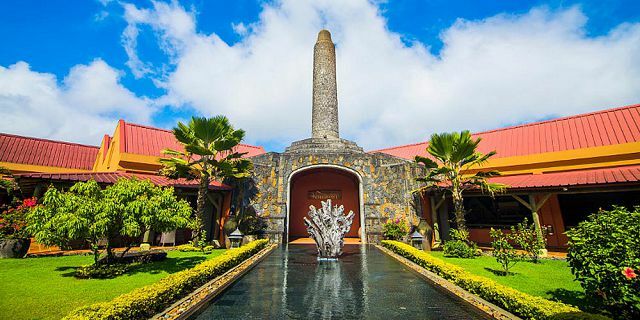 As part of this visit of the Rhumerie de Chamarel, we offer you to enjoy a delicious lunch and a unique dinning experience at the beautiful L’Alchimiste restaurant. 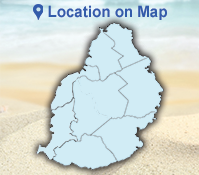 L’Alchimiste specializes in a unique cuisine, prepared with local products sourced from the estate itself.